(Source: blogs.discovermagazine.com) “More science, less fiction” is the message from the scientific community to Hollywood, even as the sci-fi film Avatar continues to rake in cash at the box office. Physics professor Sidney Perkowitz took to the stage at last week’s meeting of the American Association for the Advancement of Science to encourage more science in movies, but also to beg filmmakers not to bungle up their facts. For example, a movie should only be permitted to break one law of physics, he suggested. (Source: NYTimes.com) Computer science researchers at the University of Washington and Cornell University are deploying a system that will blend teamwork and collaboration with powerful graphics algorithms to create three-dimensional renderings of buildings, neighborhoods and potentially even entire cities. The new system, PhotoCity, grew from the original work of a Cornell computer scientist, Noah Snavely, who while working on his Ph.D. dissertation at the University of Washington, developed a set of algorithms that generated three-dimensional models from unstructured collections of two-dimensional photos. (Source: thewrap.com) The Academy’s Scientific and Technical Awards ceremony, which took place Saturday night at the Beverly Wilshire hotel, demonstrated a couple of things conclusively. First, it showed that filmmaking is a very complicated business, particularly to those of us who can’t tell high fidelity reflectance data from sub-pixel offsets of the CMOS array sensor. Second, it showed that the people who do understand that stuff need to have a pretty good sense of humor. (Source: marinij.com) In the nearly four years since George Lucas took his filmmaking colossus to the Presidio in San Francisco, the model makers and special-effects gurus who stayed behind as Kerner Group haven’t exactly wallowed in his wake. (Source: trektoday.com) While no match for the Avatar juggernaut, J.J. Abrams’ Star Trek still received six nominations for the Saturn Awards today. (Source: Wired) Steve Jobs was reportedly wearing a top hat when he visited New York publishers last week. It’s a fitting lid for the Apple CEO, who can be as tricky as a magician. Jobs has a knack for throwing off Apple watchers with his masterful misdirections. Ever wonder why analysts and journalists grossly overestimated the price of the Apple tablet prior to its official announcement? 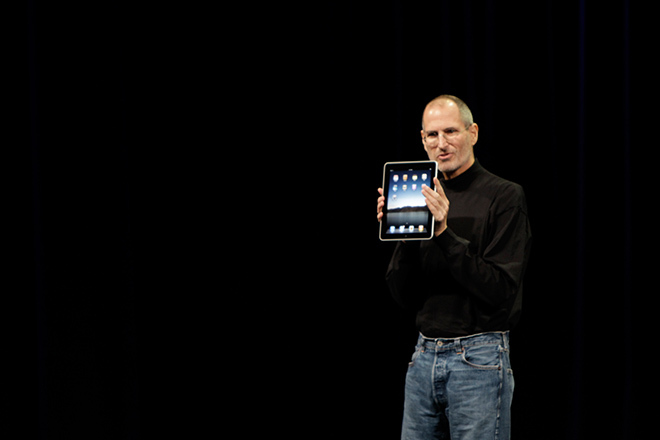 Part of the reason is that Jobs had said during a 2008 earnings call that Apple could not make a $500 computer that was not a “piece of junk.” That assertion lent credence to rumors that the tablet would cost $1,000. (Sources: hardocp.com - hollywoodreporter.com) Postproduction tools that helped launch the digital intermediate process figured prominently during the Academy of Motion Picture Arts and Sciences’ annual Scientific and Technical Awards presentation. Held Saturday at The Beverly Wilshire, the Academy honored a total of 10 technologies with Scientific and Engineering Awards and five with Technical Achievement Awards. (Source: fxguide.com) Congratulations to Joe Letteri, Stephen Rosenbaum, Richard Baneham, Andrew R. Jones who took home the BAFTA for Special Visual Effects for Avatar. The Orange British Academy Film Awards rewards the best work of any nationality seen on British cinema screens during the preceding year. The awards took place on February 21, 2010 at the Royal Opera House in London’s Covent Garden. Here is an interview with the visual effects winners from the BAFTA site. (Source: stuff.co.nz) Tom Greally of Weta Digital, the New Zealand visual effects company, says it employed up to 900 people at the peak of Avatar’s production. Averaging that figure out shows that each of the Avatar jobs cost the taxpayer at least $50,000. Regardless of how good Weta’s work is (and it is excellent), there is no principled argument to be made for taxpayers subsidising jobs in the film industry and paying film industry salaries, as opposed to any other. Why are those involved in film-making more deserving than those at a forestry mill that might close? Or a rural hospital that could be kept open?